Photos of Meghan Markle are mysteriously disappearing from social media. The mystery of why a photo of Meghan Markle from the British Fashion Awards has disappeared. We have another royal family conspiracy on our hands and it involves everyone’s favourite party staple (except the food obvs): a photo booth. On Monday evening, the Duchess of Sussex made a surprise appearance at the British Fashion Awards to present a designer of the year award to Clare Waight Keller of Givenchy – a.k.a the woman who designed her wedding dress. 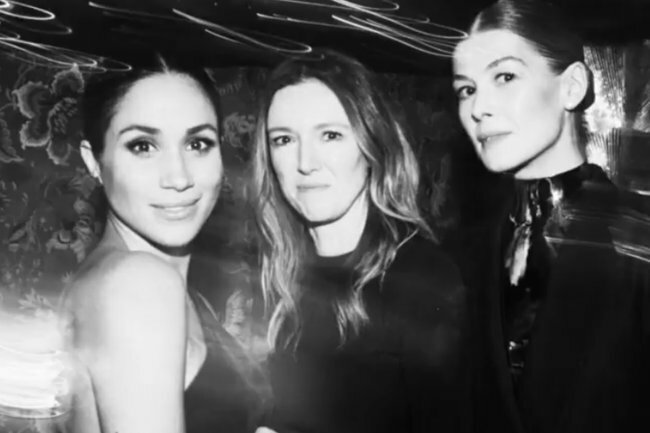 After presenting the award, Meghan posed for a photo booth boomerang by cradling her royal baby bump alongside Keller and co-presenter Rosamund Pike. It’s a super sweet image, and we don’t imagine typical royal events have photo booths (although, Princess Eugenie’s wedding reception definitely gave off booth-friendly vibes) so Meghan was probably excited to do something that resembled her previous life in Hollywood. The boomerang, along with all the others from the event, were posted to the British Fashion Council’s Instagram. But then… Curiously, it was gone. The post still remains on the account of Yvan Fabing, the photographer (but we wouldn’t be surprised if this disappeared soon too). And then yes, you guessed it, that disappeared too. 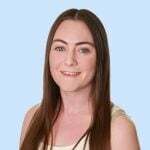 The royals are well-known for the strict guidelines around appearances and social media – Meghan had to delete her social media accounts, remember – but we’re not sure exactly why these specific posts have disappeared.